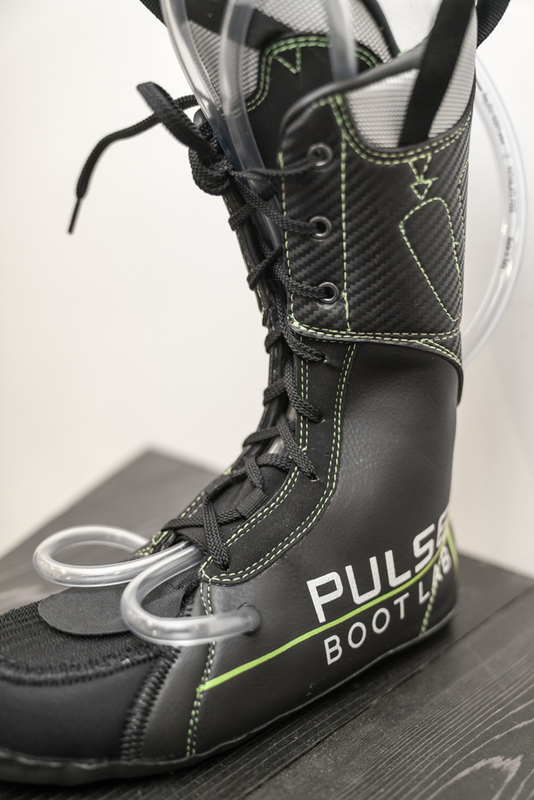 Liners — The Pulse Fit System by Pulse Labs Inc.
Our injection liner is an aftermarket, custom ski boot product. Ski boots are comprised of two key elements: liner and the shell. Both available in multiple shapes and sizes. Stock liners are intended to be comfortable in the store in order for manufacturers to capture the sale, however the functionality of the liners is compromised for skiing purposes. They generally pack out quickly due to low density materials, and more importantly, they do not accommodate the physical and biomechanical intricacies of an individuals foot/feet. Injection liners are a custom solution to replace stock liners, often purchased initially with a new boot but can also be purchased at a later date if the stock liner either /packs out' or if problems arise from the stock solution. Our injection liner is a hand crafted, Italian made product that starts as an empty bladder and gets filled by a technician while the liner is in the shell, and the customers foot is in the liner. The liner is injected with a two part polyurethane compound (resin/catalyst) which moves through the liner and solidifies after a few minutes. As the 'foam' solidifies it perfectly fills voids that exist between the skiers foot and his or her particular shell producing a custom made product. Similar to the injection liner, the thermo liner is an aftermarket liner. 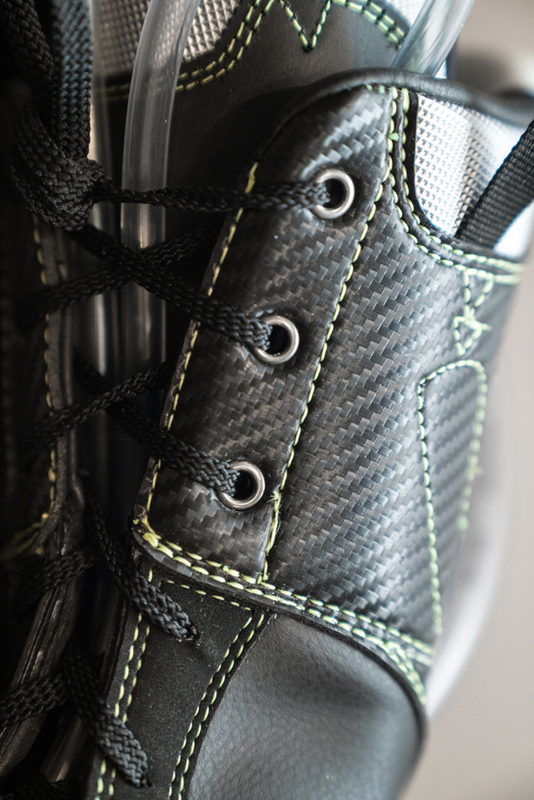 Instead of an injectable material, this liner incorporates a heat mouldable Ethylene-vinyl acetate (EVA) foam which takes the shape of the skiers foot. It does not provide the same degree of customization or performance as an injection liner, but it is generally accepted that it has better heat retention, is lighter, and does not require the same breaking in period as an injection liner. These features make the product an ideal solution for skiers who’s priorities are immediate comfort and warmth, lightweight and/or individuals looking for a replacement liner for an otherwise adequate shell. Ie. stock liners will always pack out prior to the shell being worn out. Often skiers will expire 2-3 liners in the lifespan of a shell. The process of moulding a thermo liner is far simpler than that of an injection liner, and considerably quicker with more forgiveness of technician error. The technician simply warms the liner and has the customer wear the liner for 5-8 minutes while it forms. Subsequently, we found that often the customer was satisfied with the out-of-the-box fit and opted to break in/form the liner while skiing versus walking around in the shop. This we believe is due to its multi panelling construction versus other thermo liners on the market. Again, a testament to quality build and materials.